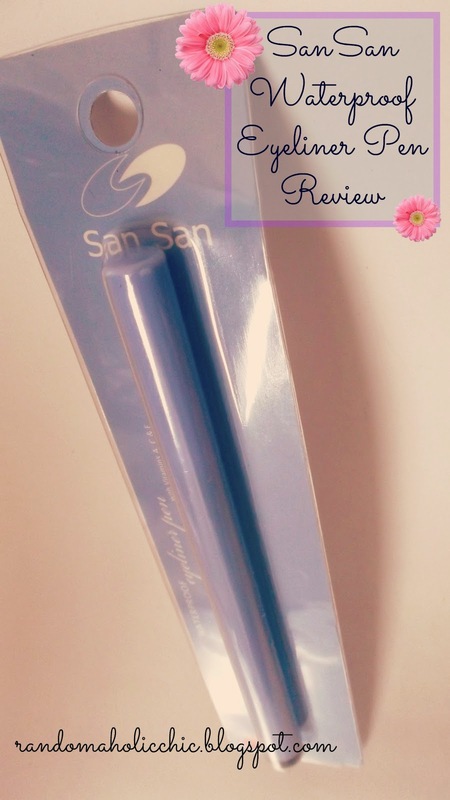 I was looking for a waterproof black eyeliner pen and the top 1 on my list to try was the Sansan Waterproof eyeliner pen. 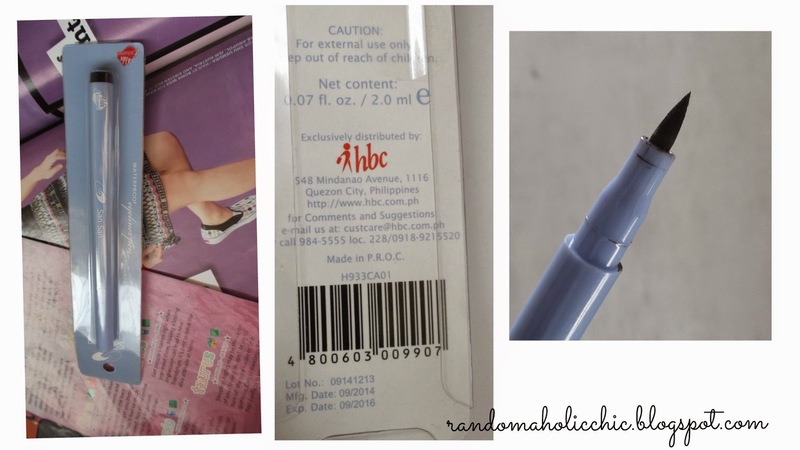 This eyeliner pen is tagged at a very reasonable price that you won’t mind giving it a shot. Light blue, lightweight and easy to grip. I like the packaging, very handy. The lid is tight which is perfect because I hate dealing with loose caps in my purse. It has Vitamins A, C and E.
Comes in two shades, black and brown. The pointed tip is easy to work with. Not the blackest black shade. I really like that it is very affordable and their store is always in stock of this product. However, the quality is not good as I was expected. I was looking for a waterproof liquid eye liner pen and this one is not 100% waterproof. I tried to put water on it and a bit of the color washed off. However, the good side is I tried to smudge without water and it is smudge-proof. I hope they work more on the waterproof aspect of this product, that would be awesome if they did. Another downside, the product dries up pretty easily. I can no longer use it after a couple of times of using this product because the tip is super dry already that any product hardly comes out. That is just so sad that this product did not work for me, I really like the packaging though. The color of the liner is black but not the blackest black that I am really looking for. I like how easy it is to work on application because it gives a good grip and it is not messy at all. However, after few applications, the tip gets softer which is a bummer. I havent worn this for more than 6 hours but it still looks good after 6 hours. I am not sure if this will last that long to those who have oily eyelids. Overall, I am not really disappointed about this product since I was able to use it for a couple of times and it worked just perfect. I love how I can easily create a winged line. 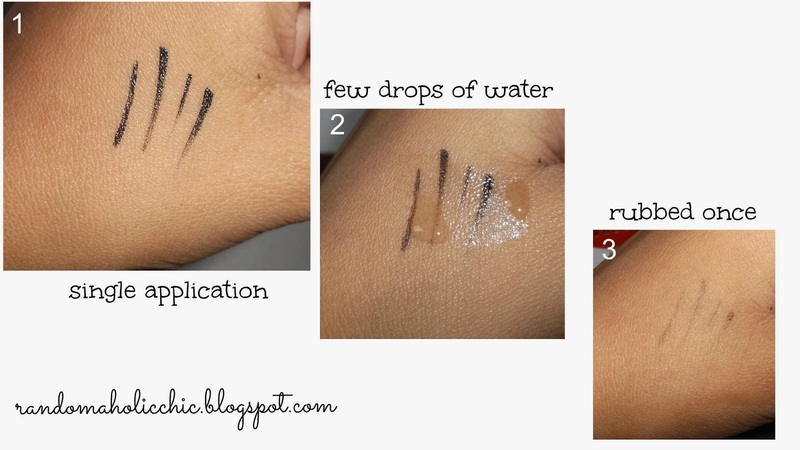 I could say, this is the kind of liquid pencil eyeliner that beginners should try. That’s all for this review, I hope you liked it and somehow has helped in some ways. Stay Pretty, Inside and Out.